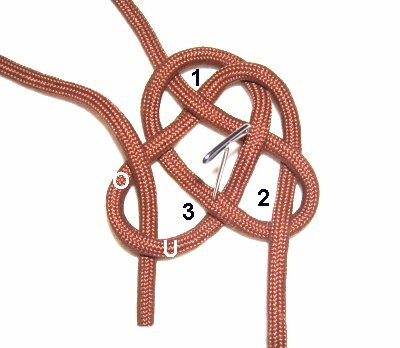 Description: The Celtic Square Knot is based on a symbol popular with Celtic artists, and represents the creation of the universe. It's also called the Box Knot, since it is often carved on the top of handcrafted boxes. 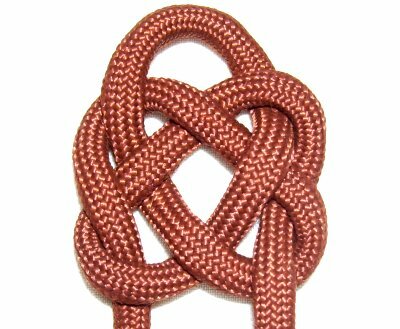 You could use this decorative knot to make Macrame jewelry, and in any pattern that requires a knot made with one piece of cord material. It can be used in combination with Celtic Button Knots to make a very attractive clasp, since it has a loop at the top. In the image above, I left the design looser than usual, so you could see the details. The material is Paracord, which needs to have the ends melted so the inner fiber can't slip out. 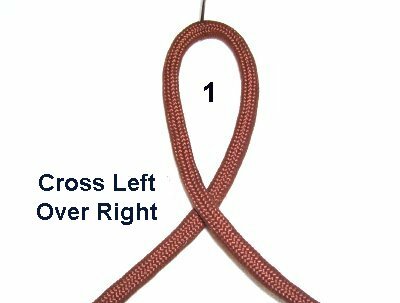 Step 1: Make the first loop in the center of a 20-inch cord, crossing right over left. Step 2: Move the end that's now on the right under the first loop, heading right to left. Step 3: Weave the end on the left through the first loop, heading left to right, on an angle. Pass it over - under - over the three segments. 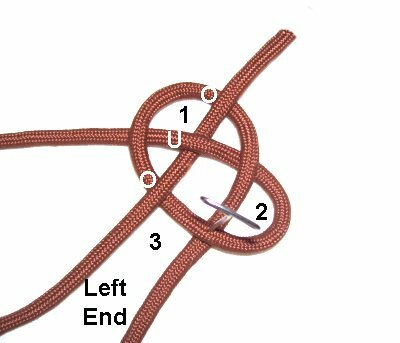 This creates the third loop. 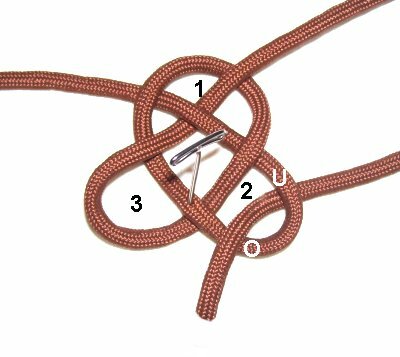 Step 4: Spread the three loops so you can see all areas clearly. Move the end that's now on the right down to the second loop, at the lower right. Pass it through under - over (from below). 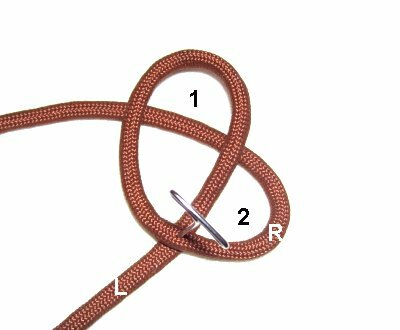 Step 5: Bring the other end down to loop 3, on the lower left. Pass it through over - under (from the top). Tighten the knot gradually, until it's the size you want. The loop at the top is usually larger than the others. 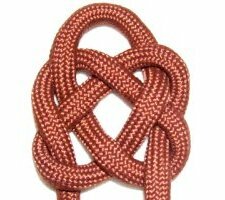 Have any comments about the Celtic Square Knot? Contact Me.